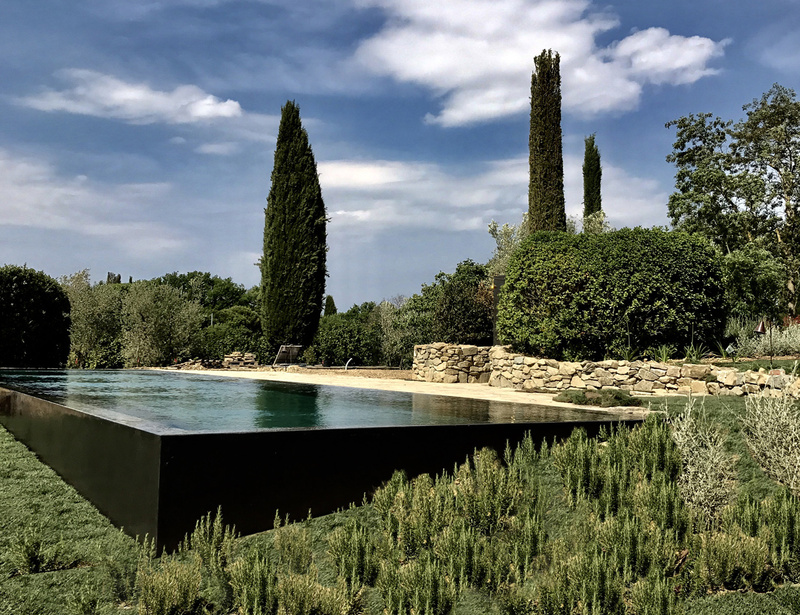 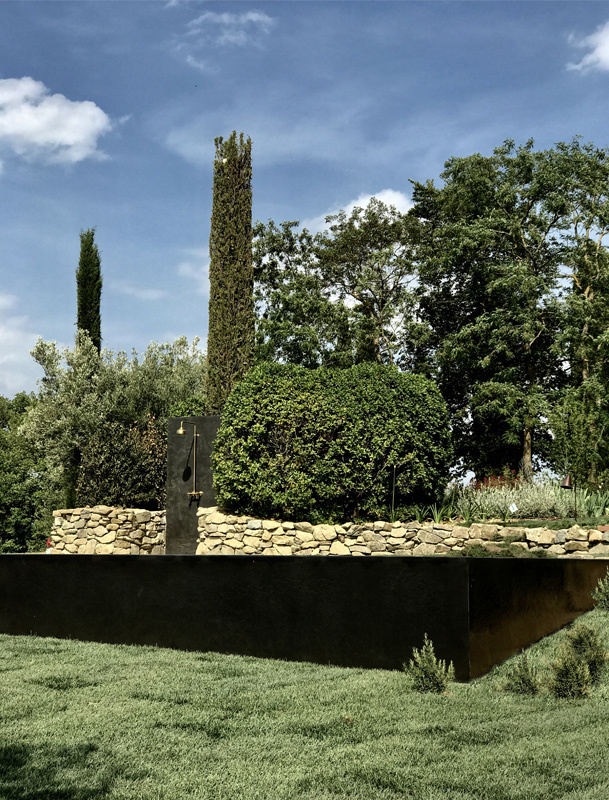 The concept of the infinity swimming pool is a black monolith grown from the earth. 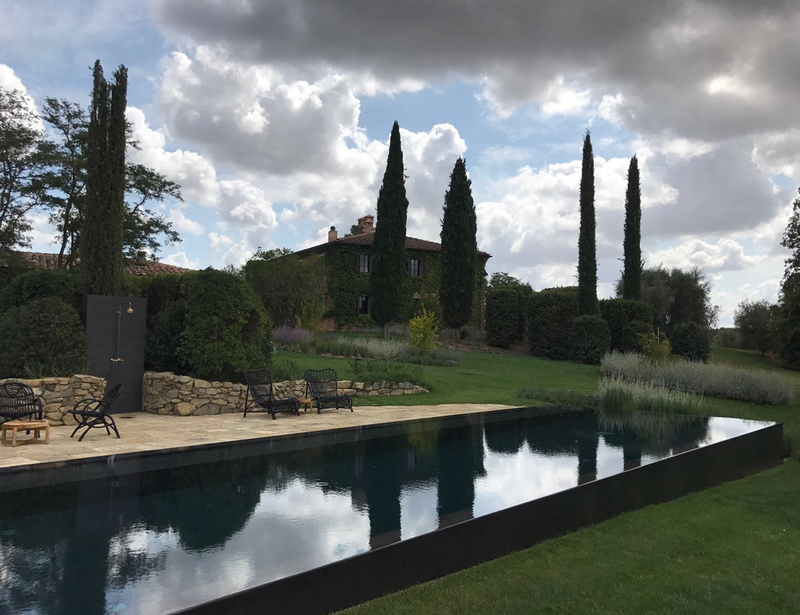 The black finishing reflects the sky as a mirror. 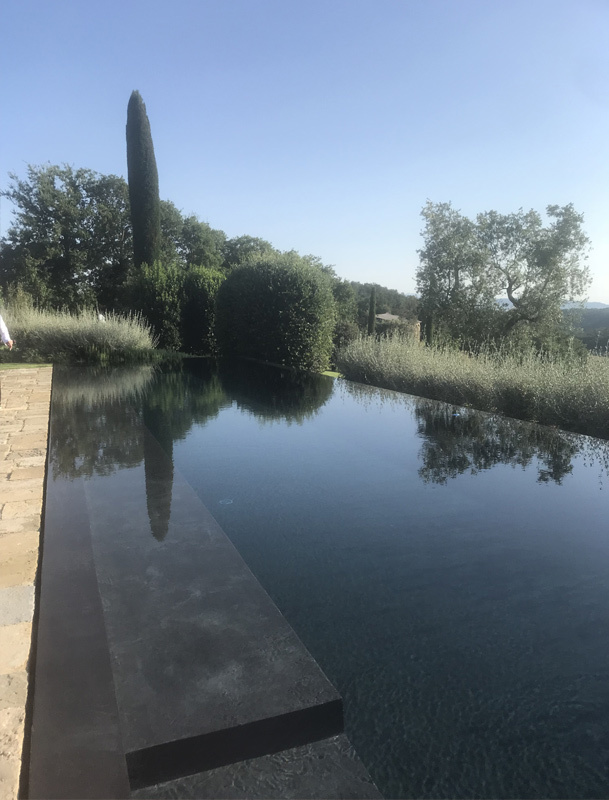 The pool is part of a project of a private villa in Toscany.